Today’s technology has allowed us to expedite a lot of the processes that, just a few years ago, would have taken us several days or even weeks. One good example of this is the process of looking for and buying a car, whether used or new. Before, we had to physically go to and check every dealer near our area to find the best deal on the car we are looking at. But now, all we have to do is to go to websites like Carmax.com, which offers to trim this process down from a few days or weeks into mere minutes. Before we go and start reviewing the services offered by Carmax, we must first look at what is its core service. In simple terms, Carmax is an online search portal for new and used cars. It offers an easy way to search for deals for the car you are looking at purchasing and allows customers to compare a price from a particular dealer to prices from dealers in the same area. Aside from targeting car buyers, Carmax also offers a comprehensive service for sellers looking to put their cars up for sale. It offers an easy way for sellers to advertise their car at prices that are supposed to match, more or less, the current market prices for that specific vehicle, taking the pain of guesswork and advertising the car yourself. Like other websites who offer similar services, Carmax features a very clean and user-friendly interface. It offers a search bar where you can type the brand of the car you are interested in buying, the year and model, specific budget, and many other filters. It will then give you results listing the best deals according to your search parameters. The listings include pictures so you can clearly see the vehicle, and the results page gives you many more options like choosing to compare a certain car with another similar vehicle. All these are laid out in a very logical manner, enabling even new or non-tech savvy users to navigate the interface. As for sellers, their own page at Carmax is similarly clean and free of clutter. Sellers can see at first if Carmax would be interested in the type of car they are selling through an online assessment feature in which a seller enters some of the car’s details. If it is indeed enticing enough for Carmax, the company’s contact details are clearly indicated on the page. The search function for buyers may seem simple at first, but then, clicking the buyer’s search page enables access to a ton of filters that really helps in narrowing a buyer’s choices. Aside from usual details such as make, model, and year, users can indicate the color they want on both the exterior and interior of the car, the extra packages that may be included, their budget range, and even the mileage of the particular car model they are eyeing. This very useful for people who want to buy a car but may not be familiar with other models or makes that can potentially have what they desire. Carmax offers a 5-day money back guarantee for buyers, which is a huge deal especially those who may have doubts about Carmax itself or may not be too sure of their choice. This offer lowers the risk significantly for buyers as it affords them enough time to test out a car they bought to see if it has any undisclosed damages or if there are any parts that are not working as advertised. It is also a full refund, which is really a great way to boost customers’ confidence in using Carmax’s service. While most of us have an idea of the car we want, some buyers have very little clue as to what is the best car to buy. They may just know the size or color of the car they want, but they may not be familiar with the brands or the actual class of car the vehicle they are imagining may belong to. And this is where Carmax’s research page comes in handy. The research page is essentially a comprehensive database of all the most popular car categories, as well as the top cars in each one. Here, you will get car ratings, safety scores, and general reviews which Carmax’s claims are from unbiased sources. This is a huge help for those who just know that they need a car but are not knowledgeable with other details. This will give them a good starting point for the type of car they need and may even change their minds about some preconceived notion about a brand or car model. Also, they will be able to compare the extra features of cars in the same class, which will give them a greater chance of getting more bang for their buck. In Carmax’s website, right next to the search bar, you will immediately see a link that encourages you to secure financing first before you browse through the car options any further. Although most of the would-be buyers using Carmax would probably have a good idea of their budget for purchasing a car, some would prefer increasing that budget to get a better car that would last longer and keep its resale value even after a few years of use. So Carmax’s financing calculator allows buyers to have a close estimate of the amount of financing they could get to augment their original budget. And the fact that they could easily and readily apply for financing without even leaving Carmax and going to a financing company’s website is a very convenient way of providing this service. This really makes Carmax a one-stop-shop for consumers looking to buy cars. Some similar websites only offer to collate information from various dealers about their listings so that they can provide consumers a centralized database of options. But with these websites, the buyers would have to deal with their chosen dealer and pay the down payment or monthly car premiums directly to the dealer. This would only be a small problem if the dealer happens to be near your area, but if it’s in another city or another state, this is a huge hassle. Carmax, through its financing service, offers a convenient online facility that buyers who have availed their financing can access at any time. It is like having an online bank account that you can manage from anywhere, without having to go to the dealer and pay them yourself. This adds another layer of convenience and comfort for buyers, especially those who are very busy and do not have the time. Although it is not currently accredited in the review site Consumer Affairs, buyers are still able to post reviews and stories about Carmax on the website. Unfortunately, most of the reviews are on the negative side. Carmax only managed a measly 1.5 out 5 score on Consumer Affairs, and that is based on 88 reviews. A significant number of the reviewers took offense against being reportedly led to dubious dealers who are hard to deal with. Some buyers complained of not being replied to by dealers, and some reported being sold a faulty car that is not as advertised in Carmax. Some even alleged that Carmax refused to repair some of the cars that had problems or damages and were charging a lot more for after sales service. As for the sellers, most of them reported how they were upset by the lowball offers they got for trying their car appraised at Carmax. A buyer said he checked with other websites and he concluded that Carmax undervalued his car by more than $1,000 based on various reasons that did not make sense to him. Another seller was able to sell his car for more than double the price Carmax was offering him. Still, there were also a few who were satisfied with Carmax’s service, citing their convenient and easy buying process, as well as the availability of a financing option. They also commended the assistance Carmax provided them from the time they searched for a car until they were about to bring it home from the dealer. Yelp is among the most popular review sites in the world, and Carmax has been reviewed by a total of more than 700 consumers. Currently, it has a review score of 3 out 5 stars. The ones who reviewed Carmax negatively mostly pointed out the lack of attention and service given to them when they first went to Carmax. Several buyers reported having to wait for more than 10 minutes before someone approached them, while others cancelled their appointments altogether when no one offered to assist them. As with Consumer Affairs, some Yelp reviews were frustrated by the quality of car they got, which they alleged to have become problematic and costly to repair just a few months after purchasing them form Carmax. Despite some negative reviews, a significant number of consumers really liked how easy it was to buy a car through Carmax. The entire process, which included financing options, was really a boon for some buyers who said Carmax allowed them a pain-free car buying experience. Contrary to others who have experienced being ignored when they went to Carmax, some consumers commended the Carmax staff, saying that they assisted them from start to finish, and were very cordial and easy to talk to. Another popular review site is Sitejabber, which also uses a 5-star rating system. Here, Carmax was firmly at the middle of the pack with a 2.5 star rating, though that was based on a much less number of reviews. Most of the negative reviews were about the poor quality of the cars after they have been purchased through Carmax. Some cars broke down and had multiple problems just a few months after the purchase, while some of the cars lacked some of the features that were supposed to be included and were indicated in the posting on Carmax. Those who were pleased with Carmax raved about the customer service and ease of use. Some were surprised at how convenient it is to purchase a car online with Carmax, and some were happy with the after sales assistance they received from Carmax. Carmax currently has a less-than-stellar rating at DealerRater website. Out of 5 stars, it only managed a low 1.8. A lot of the reviewers cited the alleged misinformation about the listings and the financing options. Some were reportedly given an enticing initial computation only to find out when they were about to purchase a car that they had to pay a lot more than what they were quoted. Some also lamented the very low appraisal Carmax offers to those who were looking to sell their vehicles. Still, there were some who were very happy with their experience with Carmax. Some reviewers commended the very fast and smooth transaction with Carmax’s sales people, who they said were very cordial and helpful with their inquiries. Several buyers were also impressed with the vast selection of dealers Carmax offers, which enabled them to carefully select which ones they would contact and buy from. Is Carmax a good place to buy a car? While there are a number of good reviews about Carmax, the car search portal received an overwhelming number of bad ratings and reviews. If you’re looking to buy a car or sell your existing vehicle, it is prudent that you try to search for other options and websites so that you’ll be able to get the best service available. Feel free to look at the other reviews we have on our site to help you with your decision. On the lookout for your next car? Or are you trying to sell your old reliable vehicle? Either way, there are now plenty of avenues and platforms that cater to those looking to do just that. But which one? Today, get to know about one of the most popular buy and sell websites for cars, Carmax. Carmax is an online platform wherein you can buy or sell used or even new cars. You can browse through its large online database of cars, get financing options, and also have your car assessed before selling it. Carmax works by allowing prospective buyers search through its large online database of cars for sale. It allows customers to narrow down their search with regard to price, availability and location without ever leaving their homes. Can you haggle at Carmax? No. One of the key selling points of the Carmax platform is that it’s supposed to give customers one fair price so that they wouldn’t need to haggle anymore. Depends on your needs as a buyer. Some people want a direct and fast experience with minimal fuss, and Carmax’s no-haggling feature will be best suited for them. Others, however, want to haggle for the lowest price they can get. 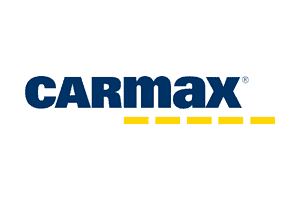 Carmax was previously owned and developed by the Circuit City company in 1991 lead by then-CEO Richard Sharp. Today, it is a publicly listed company under the leadership of President and CEO William Nash. Yes it does. In fact, buying used cars is one of the core features of the Carmax platform. You can have any car assessed and bought by Carmax, for as long as it passes their inspection procedures. What time does Carmax close? Depends on the location and branch of Carmax you are dealing with. Normally, office hours of most Carmax branches start from 10am and ends at 9pm, though this may vary a little on other, more remote branches. Unfortunately, no. Carmax limits its services to new and used cars as of the moment, unlike other similar platforms. If you have a motorcycle, you can try selling it straight to motorcycle dealers. No, except from their two Toyota dealerships which leases brand new cars only. Carmax likes to keep its business model focused on buying and selling cars. Is Carmax open on Sundays? Depends on the location of the Carmax branch, but generally, most of the stores of Carmax across the country are typically only open from Mondays through Fridays. What time does Carmax open? Most of the branches of Carmax across the country usually opens their doors to customers starting at 10am. However, this might slightly change depending on the location and specific branch policy, so it’s best to check with your local Carmax store. Does Carmax buy cars that are not paid off? Yes. If you have an existing loan on a car and haven’t fully paid it off, Carmax will just deduct the remaining payment amount from its offer to you and give the rest of the balance, if any, in cash. Does Carmax work with people with bad credit? Your credit history is not as important when you are buying in cash or selling your vehicle on Carmax. However, once you avail of Carmax’s financing option, your credit history will be among the details Carmax will take a look at before you get approved for a loan. Where does Carmax get its cars? Carmax gets its cars either from buying used ones or through its new car dealerships. It then sells them in over 200 Carmax stores in the country. What does no-haggle price mean at Carmax? The no-haggle price implemented by Carmax means just that – you cannot negotiate anymore the prices of the cars you intend to buy. However, this is not being implemented for sellers, only for buyers. Does Carmax take trade ins? Not exactly. Carmax does give you an appraisal for a car your selling, but it does not do direct trade-ins. Instead, you can either use the appraisal price for trade-in with another dealer, or sell the car to Carmax then buy a used car. How to remove Carmax sticker? It can be quite tricky to remove stickers from cars, but once you know the technique, it is smooth sailing. The easiest way is to soak a paper towel in vinegar, lay it on the sticker, remove the paper towel, and peel off the sticker. Use the paper towel again to remove any sticker residue. It depends on what you value. Carmax generates millions of sales each year because users swear by its ease of use and fast processing. If you’d like to take advantage of technology to buy or sell cars, then Carmax may just be the platform for you. Carmax is headquartered in Richmond, Virginia. However, in order to reach as many clients as possible, it has established hundreds of satellite stores all over the country. How much do Carmax sales consultants make? According to job portal site Indeed.com, Carmax sales consultant have an average salary of around $36,000 per year. However, that figure can be lower or higher depending on performance and exact position. Does Carmax do oil changes? While Carmax is primarily a buy and sell business, some of its stores do offer car maintenance services such as oil change, body repair, and other services to its customers. How to sell a leased car to Carmax? Once you approach Carmax to sell a leased vehicle, Carmax will inquire with the company that leased you the vehicle about its payoff quote and compare it with their own appraisal. From there, Carmax will compute how much, if any, equity and balance you might have and deduct it from their offer to you. Does Carmax offer trade in value? Not really, but oftentimes, clients looking to trade in their old car in other dealerships use Carmax’s appraisal value as basis for their assessment of their car’s worth. How to return a car to Carmax? One of the biggest selling points of Carmax is that they offer a 7-day money back guarantee. If, after 7 days, you find that you’re not satisfied with your purchase, then you can return the car to Carmax. If it did not sustain any form of damage and was returned in the same condition, then Carmax will give you a full refund. Do Carmax cars come with a warranty? Yes they do. You have a 7-day return warranty in case you’re not satisfied with your purchase, and a 30-day repair warranty. Carmax also offers the ability to extend a car’s warranty through its MaxCare plan. No, it is not. It is a legitimate company that has been around for decades. In fact, it is considered the largest platform for buying and selling cars, and is among the Fortune 100 companies in the US. Does Carmax ask for proof of income? Depends on how you are going to pay for a car. If it’s in cash, then there is no need for a proof of income. But if you avail of Carmax’s financing options, then you will need to submit a proof of income along with other documents. What is covered under Carmax warranty? Should you avail of Carmax’s extended warranty called MaxCare, it will cover almost all the parts of the car except stated exclusions such as maintenance and service parts (e.g. tires), aftermarket parts, breakdown due to misuse or abuse, and others. Depends on your perspective. Some claim that the prices in Carmax are higher than other platforms, while some are okay with the higher price given the simple and hassle-free transactions they’ve had with Carmax. Do Carmax cars have tracking devices? A lot of vehicles nowadays do have built-in GPS functionality that allows one to track the car, but Carmax does not put its own tracker on the cars that it sells. Will Carmax buy any car? According to its website, yes. Carmax says it will buy any car and you can schedule an appraisal appointment through their website. However, the poorer the condition of the car, the lower your offer will most probably be. Does Carmax buy cars with over 100,000 miles? Yes. Carmax prides itself in appraising all kinds of cars, regardless of mileage. For as long as it is running and passes Carmax’s tests, then you’ll be able to sell it to them, albeit with lower prices. Does Carmax sell new cars? Yes. Aside from having new car dealership among its stores, Carmax also offers financing packages for buyers of new cars, so you won’t have to look elsewhere if you’re buying a new car. How does buying a car from Carmax work? Buying a car from Carmax is simple. You simply go to the Carmax website, create an account, and choose your car from the online database. From there, you can contact your local Carmax store, bring identification, and you can already buy your chosen car. Does Carmax buy old cars? Yes. Carmax’s business model is buying old cars and reselling them for profit. Carmax implements a strict quality compliance process that makes sure that the cars they sell are in good condition. How much does Carmax pay for cars? This will depend on a lot of factors such as car make and model, mileage, running condition, aesthetics, and a lot more. Carmax’s has its own appraisal process from which it bases its offers to sellers. How to sell a car to Carmax? It is very easy to sell a car in Carmax. You will just need to bring the car to one of Carmax’s stores and have it appraised. From there, you will immediately receive an offer which is good for 7 days. In some locations like Charlotte and Chicago, Carmax is already offering an online appraisal process. Does Carmax buy cars that don't run? Yes. Carmax actually buys cars in almost any condition, even damaged ones, for as long as it will be able to sell it. For heavily-damaged cars, Carmax usually sells them at dealer auctions. How much is my car worth in Carmax? To know how much Carmax is willing to pay for your car, you will need to visit one of their stores to have a formal value. Then you can compare their offer with the current market price for a similar model, which you can search using Carmax as well. How much will Carmax give me for my car? Depends on a number of factors, including your car’s current condition, model, mileage, and many others. You won’t get an accurate price, however, until you bring your car to one of Carmax’s stores for an official appraisal. Does Carmax accept credit cards? Yes. They accept credit cards from Visa, Mastercard, Discover, and American Express. Carmax also accepts cash payments as well as checks. Will Carmax buy a car with a bad transmission? Yes, they will, depending on their appraisal. Carmax claims that it buys almost all types of vehicles, even the ones with damage. For the damaged units, it usually sells it off in dealer auctions. Does Carmax take cars with rebuilt titles? Yes they will. As it likes to advertise, Carmax buys almost any type of car, even damaged ones. For cars that are given rebuilt or salvaged titles, they will offer a very low buying price as they usually sell these at dealer auctions. Yes, but only pickup trucks. Carmax does not sell any kind of commercial or hauling trucks on its website, so in accordance to this, it also doesn’t buy the same. Does Carmax sell cars that have been in accidents? Yes, but depending on the kind of damage a particular car may have sustained, Carmax can either sell it on their website or sell it at dealer auctions should it be deemed to have irreparable damages. Will Carmax buy a car with expired registration? Yes they will. Carmax usually includes in its appraisal any dues or fees owed by the seller and deduct the total amount from their offer. This is the reason why these types of cars usually have low appraisal value from Carmax. Can I sell a financed car to Carmax? Yes you can. Carmax accepts financed cars and it does this by getting a payoff quotation from the bank or lender of the auto loan, and deducting this from the car’s appraised value. How well does Carmax pay for cars? How much Carmax pays for your car will be dependent on many different factors such as the car’s condition, mileage, accident history, among others. However, it will always be a bit lower than if you sell it to a private buyer because Carmax still needs to make profit after the sale. How helpful was the article?